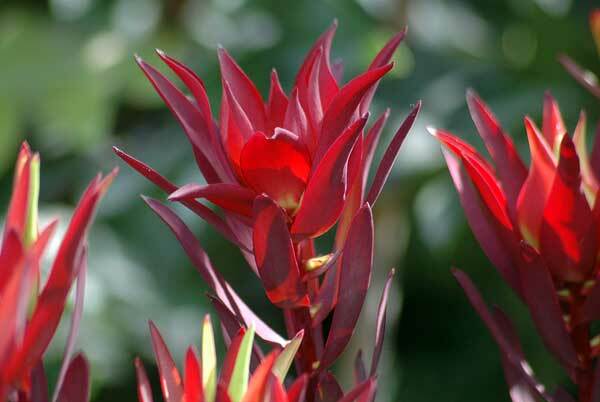 Use: This small compact shrub provides a variation of colour with bright red foliage in Autumn to yellow highlights in Winter. 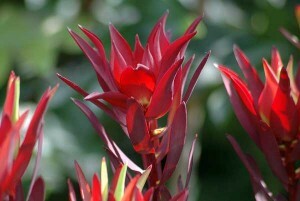 Great in containers or gardens. Care: Plant in well drained acidic soil. Water well to establish 1-2 years. Use a natural mulch low in phosphor. Do not fertilise. Moderate frost tolerance once established. Pick all flowers to maintain shape. In containers water daily, use potting mix and a slow release fertiliser.